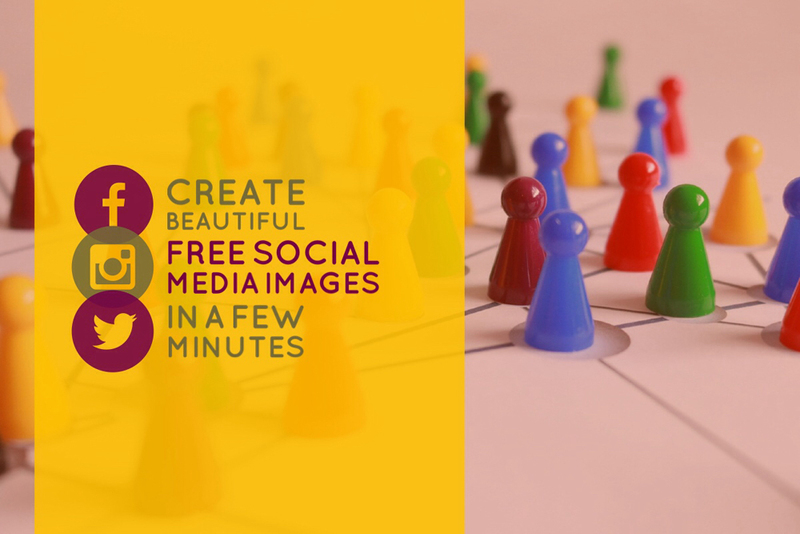 As a Social Media Manager I’m always on the lookout for new tools and software to create surprising graphics or videos that would get my followers hooked while scrolling through their social news feeds. A relatively new tool I came across last week is Plotagraph, a software that can animate any single JPG and export the result as GIF or MP4. Naturally, I first signed up for the free membership to give it a try, which limits my tool set immensely (no brush, no feathering). Still, the results I can achieve just by setting a few animation and stabilizer points are rather convincing of the power of the tool. Additionally, Plotagraph is very easy to use. I just had a look at a few edited stills in the software’s tutorial section and understood immediately how to use animation points. No need to watch complex videos or read endless tutorials before I was able to “breathe new life” into some of my old favorites. Click on the photos below to see what kind of subtle movements you can create with this software. Plotagraph is available for iPhone and iPad, as well as Mac, Windows and Linux. Waiting for Android! I am an art fan. I admire all the Picassos and Van Goghs in this world. And from time to time I try to be like them. When I recently set out to find new inspiration for old photos in the App Store, I came across Prisma. Within minutes I was surprised I hadn’t heard of that photo filter app earlier. The results are stunning — real artworks. What Prisma does, is to turn your photos into classic art, imitating the style of well known painters such as Picasso, Warhol, Munch and many more. By the time I am writing this post I created around 30 unique pieces of art with Prisma. But it didn’t take me 30 tries to cull out my favorite filters, especially for urban photographs. While the app also works fine for any other photo genre, I personally think you can get the most beautiful results with city shots and the following 7 out of the currently 43 filters. Try Prisma yourself; you can find it on the App Store as well as on Google Play. For which occasions do you like to turn your photos into artworks? Besides giving old photos a new twist just for fun, I think some of the above examples would make a great art calendar. And if the app creators decide to add more temporary filters like the current “Halloween” one, I could even imagine to make use of Prisma to style my Social Media profile and cover photos for special events. The Salon de la Photo will take place from 10 to 14 November in Paris, Porte de Versailles, Pavillon 5. 181 exhibitors are to be expected; photographers will show off their artwork and professionals will give talks. I think there is no need to convince you that this is going to be big and beautiful. If you plan to come to Paris you can buy your ticket online for 9€ (instead of 12€ at the venue), or, and that’s what I just did, you can get a free entrance badge thanks to Canon France with the code CANN16. All you need to do is to enter your code in the field after the sentence “Should you be in possession of a document (invitation card, letter, e-news, advertisement…) with mention of an access code, please enter it here“. Hit “Activate my Code” and print the digital badge they’ll email you over. That’s it — you’re good to go! ❤️ 💛 💙 💜 Canon! Today is World Photo Day. Yay. Snap. Snap. But wait, you might wonder, I’m taking photos 365 days a year; what’s so special about August 19th? Today is about sitting down and honoring all those visual storytellers who share the passion to communicate through this powerful medium and who strive to inspire and educate about wildlife conservation, the ecological crisis or social injustice (just to name a few examples). Today is about sitting down and putting the people behind the camera in the right focus. Do you have some #WorldPhotoDay favorites to share? Which ones made you laugh, think, cry? Visual micro content (VMC) is driving forces of engagement these days. Clips and GIFs in the social web are as popular as never before. And I am not talking about the creation of memes. More and more brands are discovering GIFs, clips and cinemagraphs as fine art and a new way of storytelling. Movable imagery recently became a popular marketing format, which is easy to digest and really stands out in social media feeds. “Yay” for being a photographer or visual engineer with tons of material on hand. Shame on you if you aren’t involved on social networks yet. Visual content marketing is the way to advertise your photo business, create leads and drive sales in 2016. Why? Gen Y! On a global scale, 64% of the web traffic are videos. For the young audience, VMC is the digital answer to TV spots; small bites of information and entertainment. Instead of producing a 30 seconds spot try creating 30 spots lasting a few seconds to appeal to a number of buyer personas in your target market. But beware of producing VMC just because you read it’s trendy and Facebook, Twitter or Google provide the technology. Each cinemagraph, clip or GIF needs to fit into your overall social media strategy: What is your communication goal? Whom do you want to reach? What can they learn from you? Once you have the answers to all these questions, start planning VMC in your content calendar and make sure you optimize your visual material for each social network. Facebook’s algorithm will reward you with reach if you upload a video there instead of posting it as (YouTube) link. Twitter content has an ideal size of 506x253px. For details, check out this always up-to-date social media image sizes cheat sheet (Google spreadsheet). I gave it a try myself with GifMaker and a series of photos I took in Auckland a few years ago. You might want to go through your archive too to see if you can leverage some old photo series today. I think I might have just stumbled upon one of the easiest to use photo apps since a long time to create eye-catching photography event invites, Pinterest album covers, newsletter graphics, text posters, Twitter cover images, Facebook ads…you name it. With Adobe Post (currently available for iPhone) you are only a few taps away from professional looking designs with your own photos or photos from a huge library of creative commons pics. 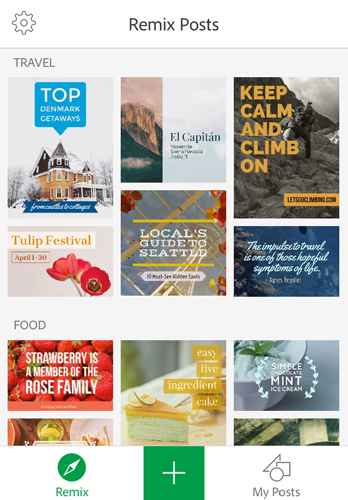 Within seconds, the mobile app allows you to change sizes, layouts, colour palettes, fonts and photo filters. 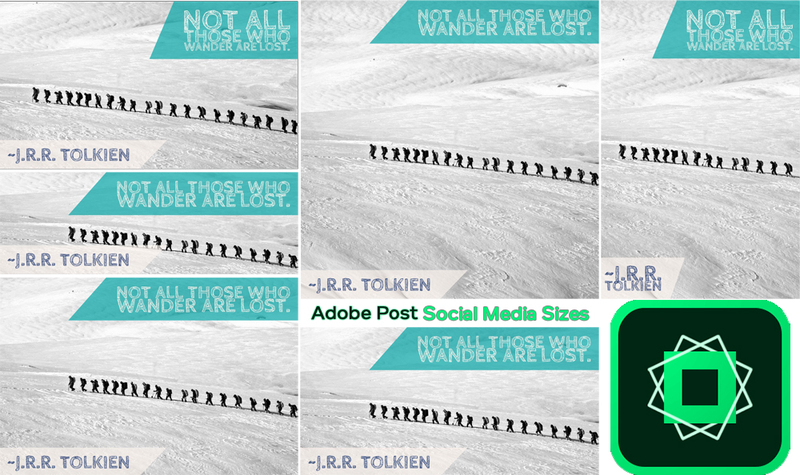 To give you an idea of what I am talking about, I took some of my favourite inspirational travel quotes to create a new edition of this old post within 50 minutes (including the research for creative commons images and playing around with my customization options = 10 minutes per image). The easiest way to get started with Adobe Post is to make use of one of the suggested templates, which you can personalize to your liking. Once you get hooked, you will probably go ahead and see what Adobe Post can do with your own photos. You can upload them from your camera roll, Lightroom, the cloud or take a new shot with your mobile device’s camera. After finishing your edit — and this is the cool marketer’s stuff — you can easily change the (social media) format of your creation and switch with one tap between Facebook cover image size, Twitter post size, YouTube thumbnail size, LinkedIn cover size, Instagram square format etc. Most of the time the app works really neat and crops your image or relocates your texts and shapes in a way that won’t require further adjustments. I hope you find the app helpful for all your coming social media endeavours! Update — March 2018: This does no longer work! If you are looking for a way to repurpose your already edited and published Instagram photos without downloading them from your social network profile and uploading them again on another server, this might be a handy workaround for you. It’s only a tiny bit technical — I promise! Let’s say you want to integrate an Instagram photo on your blog or website, but you don’t want the typical Instagram look around it (no link to your profile, no caption, no social likes or comments like for the following photo). Copy and paste the URL after “https” and until “jpg” into a new browser tab. You’re almost there! Hit “Enter” and you will see your image in full resolution in your new browser tab. Just copy the URL and refer to it with an <img src=”YourURL“> tag. You are linking to an image of 1080×1080 px (if uploaded in square format to IG). So if you plan to display it at 20% of its size it would still be better to create a smaller image and upload it on your own server. Why? Even if you display the image at one fifth of its original size, the complete image must be downloaded to a browser before it is displayed in the smaller size, which can make your website or blog significantly slowlier if you proceed with all your images like this. If a large number of people are accessing your website, then a large number of people will be loading that image from the other website to display on your site. This might cause traffic problems for your website or the other website, including charges for serving many images. Please keep in mind the copyright rules! Do NOT use this method to publish others’ Instagram images on your own website or blog; especially without mentioning the source. This trick is meant to help photographers who wish to repurpose their Instagram photos without having to upload them once more to a second server.